Objective of the SADAREM initiative is to create a Dynamic Web enable system for comprehensive access, rehabilitation and empowerment, through automation, capacity building, assessment of persons with disabilities (PWDs) and maintaining Decision Support System (DSS). Government of Andhra Pradesh has taken this initiative of Identifying & Creating the Centralized Database for Person with Disabilities by using scientific approach & disability guidelines. Government has now decided to ensure that assessment is done strictly following the professional and scientific procedure, for which the Software has been developed to also improve efficiency and accuracy. The software has been designed to take into account all types and varieties of disabilities using the matrix mode up to the last parameter, which will have the inbuilt computing formulae to arrive at the degree of disability as per the scientific procedure. For each of the disability there is an assessment proforma which needs to be filled in by the team of professionals. There is a provision in the software to capture the functional needs of the PWDs. These needs are medical interventions, therapeutic interventions, assistive devices etc. Information about these needs will have a use for planning programs for the empowerment of the PWDs. After feeding the data successfully in the software the percentage of disability is calculated automatically. Provision of generation of certificate and ID card is there for the PWDs having 40% or more disability. But there is no provision of certificate or ID card for the PWDs with less than 40% of disability, however, a report with the specialist’s advice will be provided to them. Report with specialists advice will therefore also be provided to the rejected cases. On successful registration, System generates a unique registration number which can be used by the applicant/PWD to check the status of his application on the portal at any time. 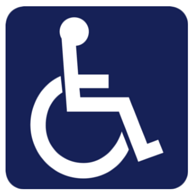 How to check Applicant/PWD Sadarem - Disability Certificate Status online ? 2. Than you will find "Quick Search" Option, at the right side of website. 4. Enter your Selected document number. 6. Finally " Sadarem Certificate Status" will be display in the screen. How to get corrected the spelling in the name of Sadarem Card holder? Can someone guide me.